When you start thinking about Thanksgiving, what comes to mind? Do you drool over the turkey you’ll be carving up? Crave the cranberry sauce that takes center stage on top of your plate? Yearn for sweet potatoes covered with golden marshmallows or all of the delectable vegetable sides? When I asked all of the peeps watching Facebook Live last week there were an overwhelming number of people wanting one thing. Pie! Are you a pumpkin pie kind of person? 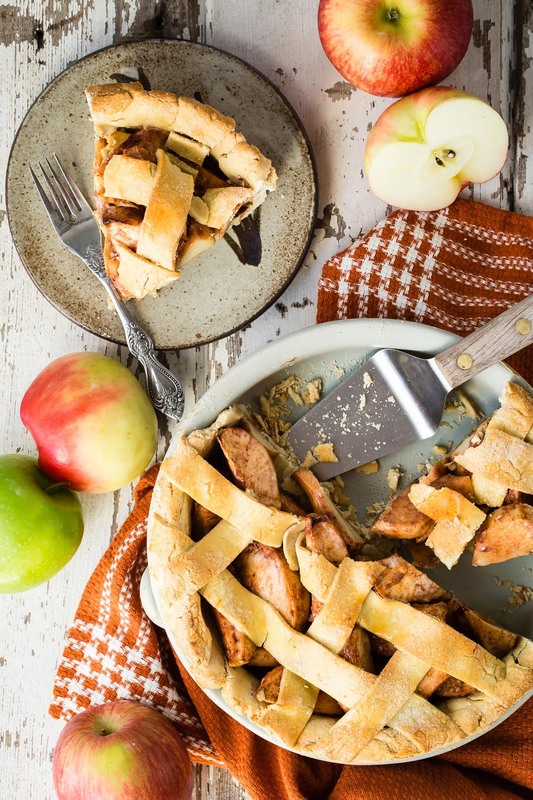 A pecan lover or an apple pie enthusiast? Our family is all over the map. 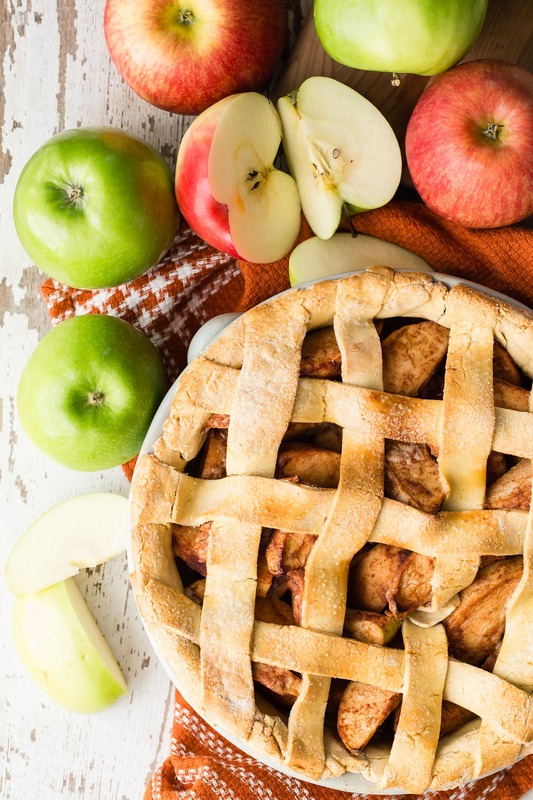 We can go for any and generally all of them, but in the past few years the idea of making a Gluten Free Apple Pie has come front and center. I wanted to create the best of the best gluten free crust for my apple pie, so I asked my incredible friend, Laurel, from Sweet Laurel Bakery to come over to make her famous Gluten Free Apple Pie for our Thanksgiving celebration. Not only is it mad delicious, but also super easy to make. You can watch how Laurel shows me her go-to tips for making a gluten free dessert that will blow your mind. 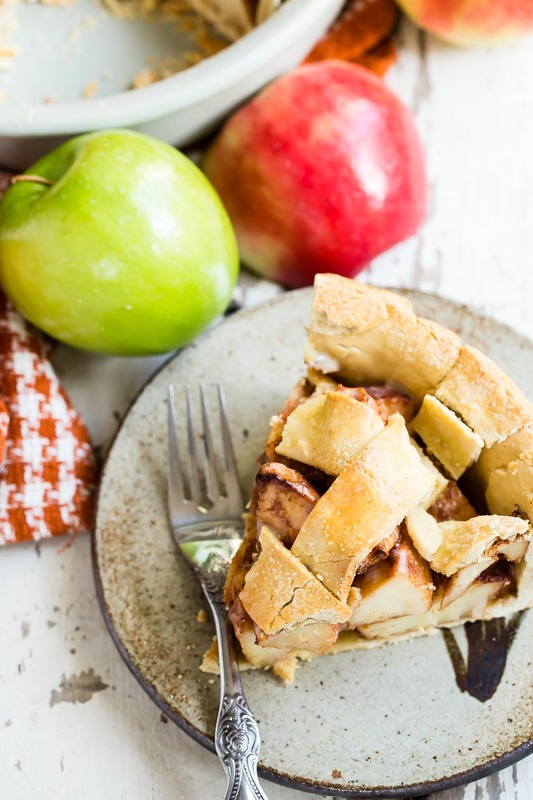 You also need to check out her gluten free product and caramel sauce that will blow your mind on top of this Gluten-Free Apple Pie. Not only is it perfect for the holidays, but so tasty you’ll want to make it year round. I’ve made it twice since she shared her tricks to the trade and the kids have been so excited to eat it that it’s lasted barely 2 days. 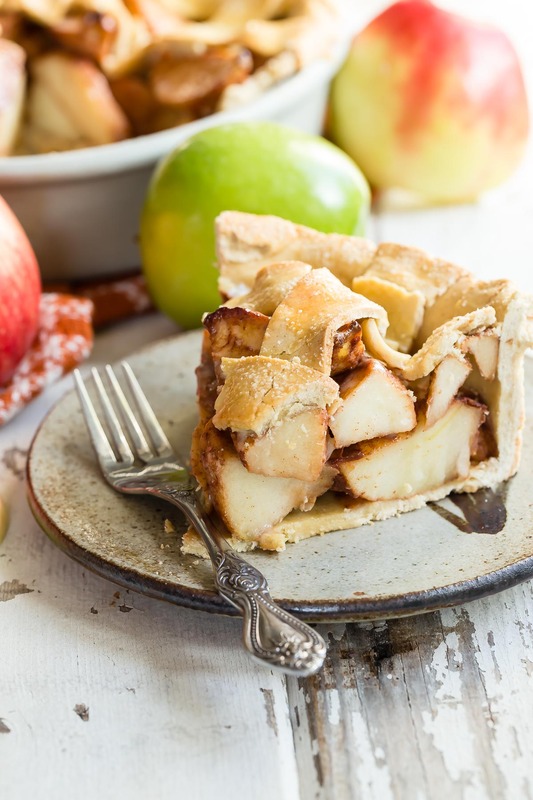 The apples cook up until they're tender and juicy while the crust becomes golden, flakey and irresistible especially with a scoop of vanilla ice cream on top. If you make it let me know in the comments below. Just tag @weelicious so I can see your creation! 2. Mix all the crust ingredients in a bowl until a soft dough forms. Split the dough in half and roll out between two sheets of parchment paper. Place one half of the dough into a pie pan and gently press into the side. Set aside. 3. Roll out the second half of the dough and slice into thin strips. Refrigerate the dough while you make the filling. 1. Heat the coconut oil in a large pot. Saute the apples for 5 minutes, mix in the maple syrup and cinnamon. 2. Remove from the heat and stir in the arrowroot powder and vanilla extract. Allow to cool. 3. Spoon the cooled apple mixture into the crust. 4. Carefully transfer the pie dough strips onto the pie to form a lattice crust: Place 3 strips horizontally across the pie, and 3 strips vertically across the pie. 5. Bake the pie for 30 minutes. Serve hot or cold. What kind of apple would you recommend using? I like using pink lady, braeburn, or gala apples! O Wow! Thank You for such an healthier option! In the video, she says to and does add an egg to the crust but that's not on the ingredient list. Wasn't sure what to do there. And I found that the crust stuck to the parchment paper when rolling out the dough. I ended up having to spray the parchment with oil in order for it to work and that wasn't full proof. Any ideas? Nice recipe! Just wanted to mention that with almond flour, this is definitely not nut-free. Allergy-kids, stay safe! What does it mean by Greek yogurt? There is no amount. You can’t sub other ingredients in almond flour recipes unless they’re other nuts, so honestly, the safest bet and least stress for gf pie crust is store bought. Thanksgiving is never a good time for me to try to debut a new gf recipe, as they’re often so temperamental. We love the gf pie crust at Whole Foods, it’s the pastry type crust, or Mi-Del makes nut safe, gf graham cracker and chocolate cookie crusts that are pretty good. Gillian’s makes an ok pastry crust if you can’t find the Whole Foods one!